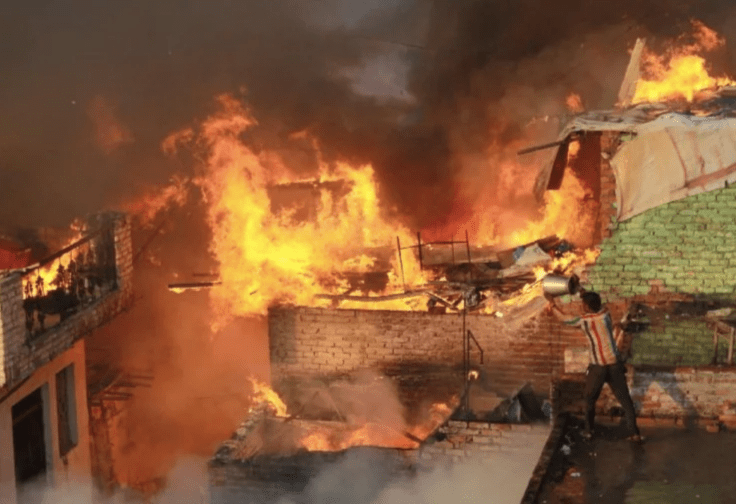 Over 200 houses were burnt in the Bhusa Mandi slum of Meerut, Uttar Pradesh on 6th March. The local police says that their plan was to remove the people from their homes who they claim have illegally encroached the land. The people whose houses were burnt blame the police for burning heir homes. They say they have nothing left, no home, no personal belongings and no money. perpetrator Organizational Was cross FIR filed Yes :The police have filed FIR against unknown men and even arrested around six Muslim men in the case.